5 Bedrooms That Defy Convention! 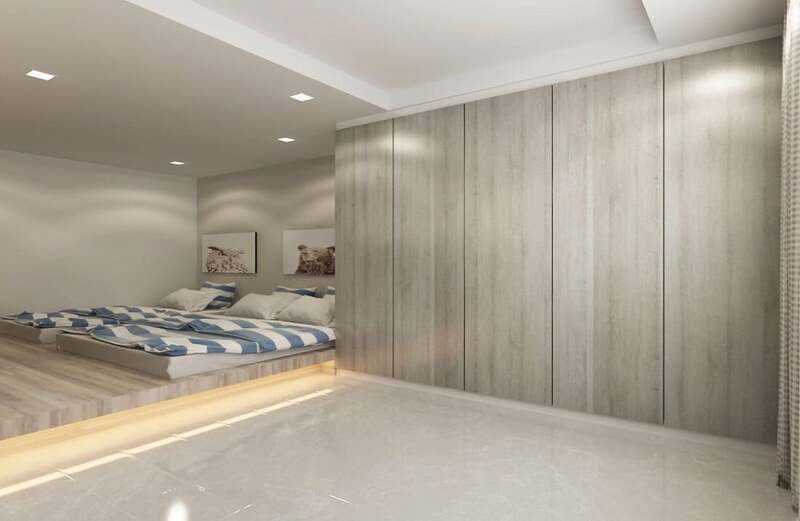 Typical HDB bedroom designs can be found a dime a dozen, but what sets conventional designs apart? What makes then unique and stylish at the same time? The answer is; when a bedroom has even a single element that defies conventional ideas, it is considered to be truly distinct and amazing. 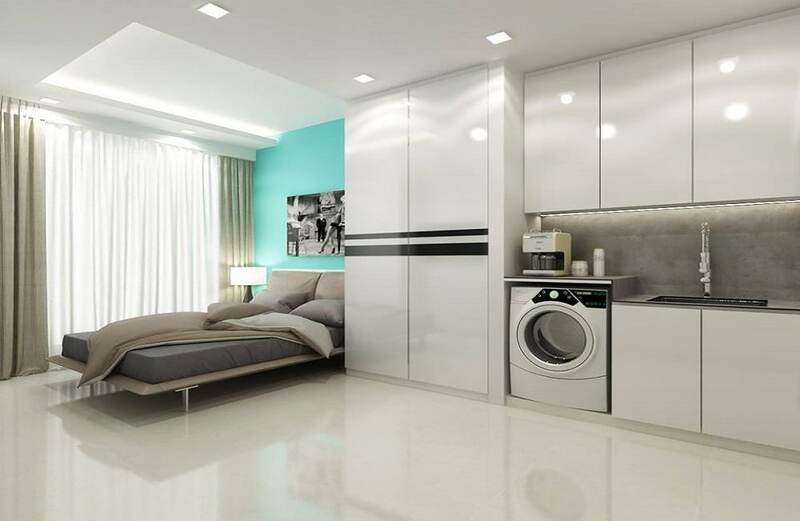 So further, we’ll be sharing 5 HDB bedroom ideas that totally defy convention! 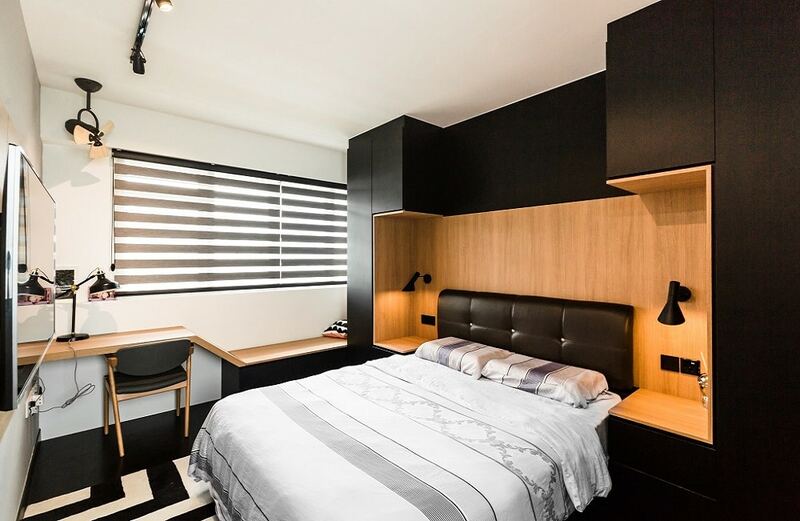 This particular HDB bedroom is all about breaking tradition. For those who’re looking for open floor plan inspirations and integrated planning ideas, this must be a dream come true. It features a kitchen come bedroom space all in one, and is perfect for those who live in a studio apartment they’d like to renovate! Having troubles with a big family and a small space? Worry not; here’s an awesome idea for you! 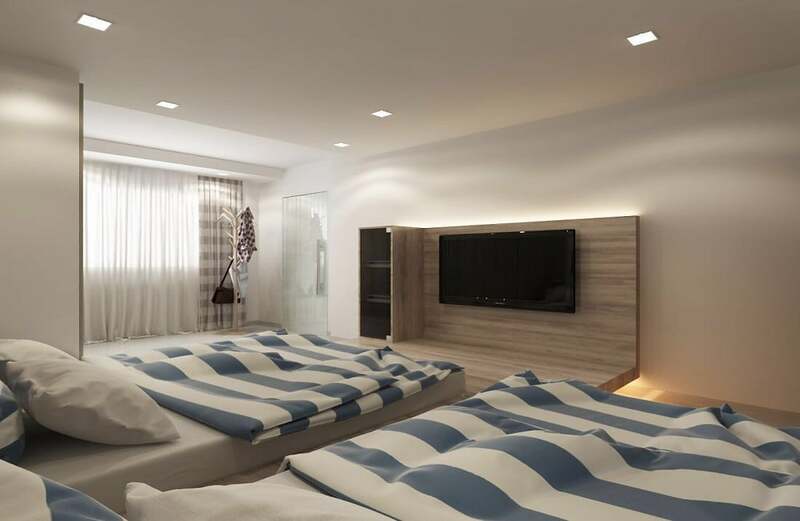 You can simply fit in two twin beds in a single room and make it look stylish and cohesive with a centralized media wall. This is going to help you save a lot of space and create a united aesthetic that looks visually appealing as well. Master bedrooms usually feature a huge king or queen sized bed, which leaves little room for much else. The best way to tackle this problem is to design a small wardrobe nook away from the mainstream visuals of your room. This helps maintain the original identity of the master bedroom without compromising on the wardrobe space. The best way to create the best bedroom designs while maintaining the aspect of spaciousness is to go for platform beds. This technique allows you to manage a lot of circulation space while keeping the major furnishings away from the middle of the room. 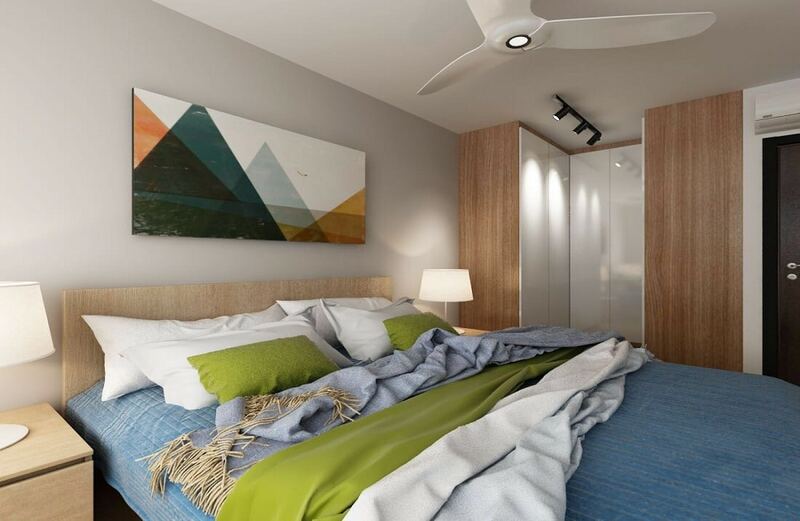 It’s one of the best ideas to implement in a contemporary HDB bedroom. Utilizing the bed headboard is an excellent way to save space, create a lot of storage and expertly manage the visuals of your room without going overboard with the design. You can create matching themes and embellish with a lot of lighting. This is an excellent technique to create a truly customized bedroom interior.